Posted June 17, 2013 by Kellen Coffis & filed under Uncategorized. We bought a van! The next logical move was to take it to Portland obviously, so we’re headed North, and we’re making a couple stops along the way. Check out them dates right there. June 18- LaguMiniAmphitheatrette @ Lagunitas Brewing Company (Opening for Brothers Comatose!) Peteluma CA. June 19- The Horned Hand, Bend OR. June 20- Cloud and Kelly’s, Corvallis OR. June 21- Rock Bottom Brewery, Portland OR. June 22- Mississippi Pizza, Portland OR. Look at that, I mean, just look at that. 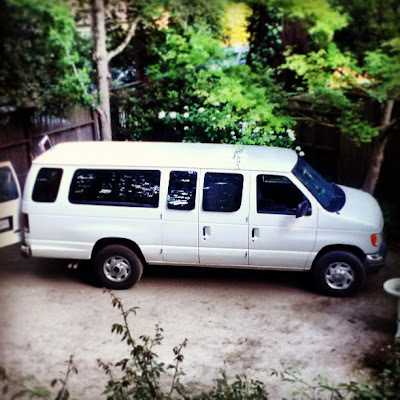 Looking forward to cruising majestically to Oregon for the first time as a full band. See you up there! We are here at Rockbottom! Amazingness!!! Come to Portland lots!